For an electronic sounding artist to release an acoustic EP not long after his latest release might been seen as a bit strange. But that is what artist Owl City has done with his newest release, titled 'The Midsummer Station - Acoustic EP'. 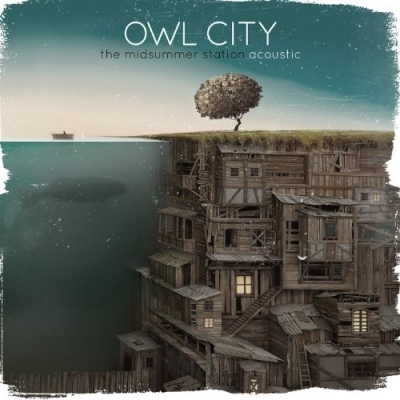 The new EP contains acoustic versions of 'Good Time', 'Gold' and 'Shooting Star' taken from Owl City's fourth studio album 'The Midsummer Station', released a year ago, as well as two previously unreleased tracks 'Hey Anna' and 'I Hope You Think of Me'. Read More For an electronic sounding artist to release an acoustic EP not long after his latest release might been seen as a bit strange. But that is what artist Owl City has done with his newest release, titled 'The Midsummer Station - Acoustic EP'. I love the original version of the dance track Good Times, but hearing this mellow version didn't work for me at first, I wanted the song to break into some crazy dance beats. Yet after a few listens it started to grow on me. I still prefer the original, but I can appreciate the creativity of this different version. Shooting Star is a brilliant version of the song. The beautiful piano sounds epic and this mixed with the amazing vocals makes this a must hear track on the EP. The same could be said about Gold which sounds great, although not very acoustic! The song is full of dance electronic beats (and very little acoustic guitars) and I kind of think it misses the point slightly. The unreleased tracks, Hey Anna and I Hope You Think of Me, are full blown Owl City tracks. They're both great tracks, but they do kind of sound like they were meant to be on the full album but never quite made the final cut. I think this EP is missing something. I really think they could have done more with these tracks to add a whole different sound, a more stripped back version of the songs. What you get is two new songs and three different mixes of well known Owl City songs - some work, some don't - but what you do get is something the fans will love to have.